And now Edelman is tied for 5th with Michael Irvin. Buzz Aldrin's beard - quite appropriately - makes him look like the world's most interesting man. Patriots scoreless in the 1st quarter for the 7th straight Super Bowl. Again worth noting: 3 of 5 Atlanta losses came in games where Ryan was sacked 3+ times (4-3). Patriots pressuring him heavily early. Is it too late to take the under? The punters are BRINGING IT. Patriots D off to a great start, Ryan had nowhere to go with that ball. Logan Ryan looks pretty jazzed. 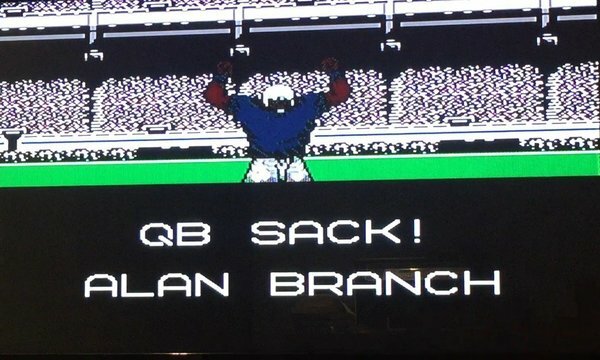 ATL secondary deserves credit for that second sack. Brady sidestepped pressure at first but had nowhere to throw. Coverage sack with Brady looking downfield - Atlanta secondary recovered well on that drive. The Patriots are 2-4 in playoff games where Brady gets sacked 3+ times, 22-5 when he’s sacked twice or less. 5 different Patriots with receptions already. Every active WR involved in this drive now. Worth noting in light of Patriots pressure on Ryan: He's fumbled in every playoff game of his career. Houston boos Cowboys owner Jerry Jones when he's announced with 2017 Hall of Fame class. Jones grins. Post-merger, the No. 1 point scoring defense has beaten the No. 1 scoring offense in 4 of 5 Super Bowl matchups between such teams. As you may have heard, that snaps a streak of 8 straight games where Falcons' opening drive resulted in a TD. The Falcons are 4-3 this year when Ryan gets sacked 3 or more times, and 9-2 when he’s sacked 2 or fewer times. 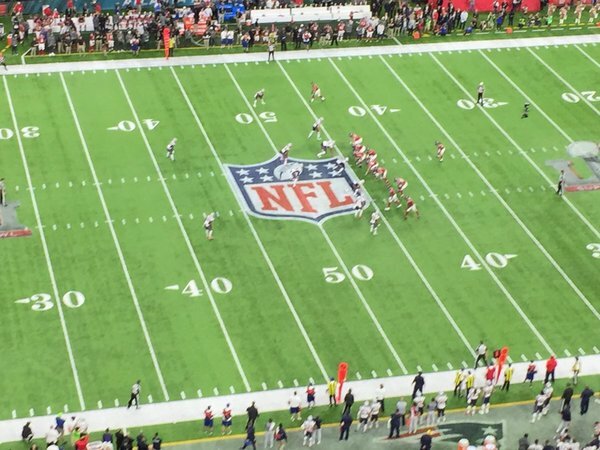 Because of holding on the punt return, Falcons begin on their 8 yard line. The Falcons scored on 55.8 percent of all drives this year, the 2nd highest rate in the NFL this century. 2 straight Edelman targets. Edelman has been targeted 10+ times in 8 straight playoff games, longest such streak in NFL history. "At quarterback, No. 12, Tom Brady." Dion Lewis kneels for a touchback and the #SuperBowl is underway.